Hard work and dedication is something that I take full pride in. I believe that there is only one way to work, and that’s HARD. I productively and efficiently plan my priorities and strategically waste no time. 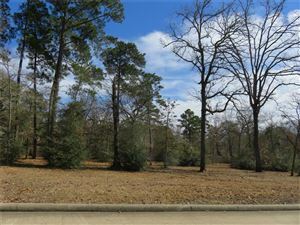 So, if your looking for a realtor in Conroe, Montgomery,"The Woodlands" or surrounding areas,... please! Think of me. I am a motivated, organized, and a committed realtor who prides himself on his ability to successfully complete any responsibility. My friendly, yet professional, demeanor and positive outlook allows me to effectively communicate with clients and co-workers alike. I believe there's always a way to achieve the ultimate goal - of owning a home. Whether you are buying, selling or simply relocating, I would love the opportunity to further discuss being your realtor. If you have any questions, regarding todays housing market - please feel free to contact me. or, text or call my cell phone - 936-240-9584.